Steve Madden is easily America’s most successful shoe designer. In 1990, with a mere $1,100 in his bank account, Madden started crafting shoe designs from his Queens-based factory and the Steve Madden brand was born. Considered the fashion footwear mogul of the 21st century, Madden has been responsible for the design and marketing of the company’s trend setting shoes for the past two decades. His vision to give young, fashion forward men and women a unique way to express their individuality through style resulted in millions of customers worldwide and propelled his designs to the forefront of the fashion industry. Today, the brand represents a lifestyle. It is about embracing fashion while still maintaining that funky independence that first defined the brand 20 years ago. Expanding now into apparel and other accessories such as dresses, handbags, belts, sunwear, cold weather, outerwear and hosiery, Steve Madden is always looking toward to the future. The store now has presence in almost all major shopping malls in Dubai. 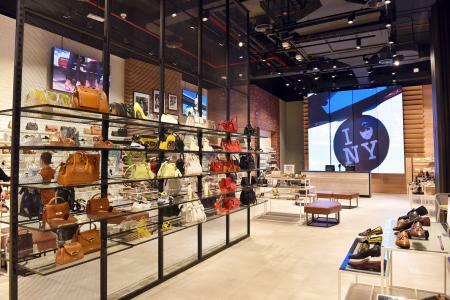 American footwear brand Steve Madden – part of the Landmark Group in the Middle East – has relocated its store in The Dubai Mall to a spacious and convenient location on the … see more..
Steve Madden introduces BALIVIA, the frilly and flashy ruffled bag designed with glam girly-girls in mind! This rose and black gold carrier features feminine ruffles and eye-catching cracked metallic surfaces for a … see more..
Rock Steve Madden Platform heels for a stylishly retro look that’s totally on trend. Style with a streamlined mini dress and large leather clutch and add some quirk with a bright necklace. 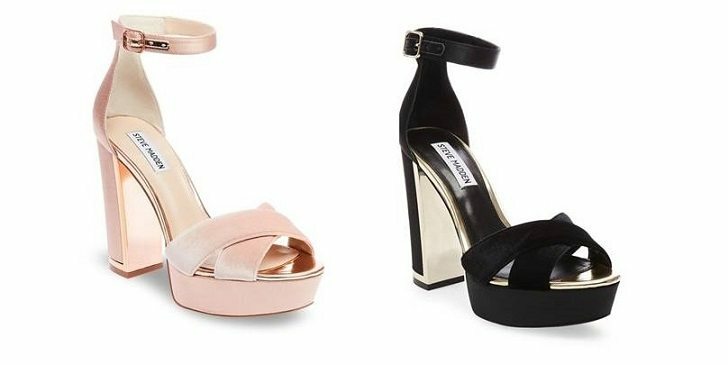 … see more..
Get 25% to 70% off on Sandals,Casual & Dress Shoes,Athletic Shoes at Steve Madden stores across Dubai. Steve Madden DSF Sale offers 25% to 60% off on its range of footwear, handbags and much more. Steve Madden Super Sale offers flat 90% off on stylish and fashionable range of footwear and accessories at it’s stores across Dubai. Buy 2 and get 20% off on footwear and handbags at Steve Madden stores across Dubai. Get 25% to 70% off on stylish and fashionable range of footwear and accessories at Steve Madden stores across Dubai.